**THIS ITEM IS NOT FOR SALE ANY LONGER. GET THE NEW AND UPDATED PLANNER! The simple and effective 50-page color Get Organized Personal Mom Planner is here for 2017! Tailored especially for a busy mom to organize her life. Does your mind seem scattered? Are you feeling overwhelmed by your day? Do you feel as if you can't keep up? 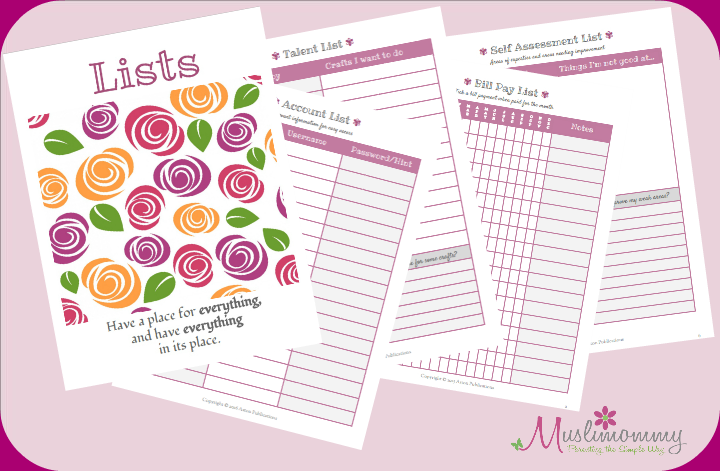 The Get Organized Personal Mom Planner can help you get back on track! It's a planner that I use myself, and I have made it accessible for busy moms everywhere! If you want order back in your hectic life, but have no idea where to begin, this planner will help start you off on the right foot. 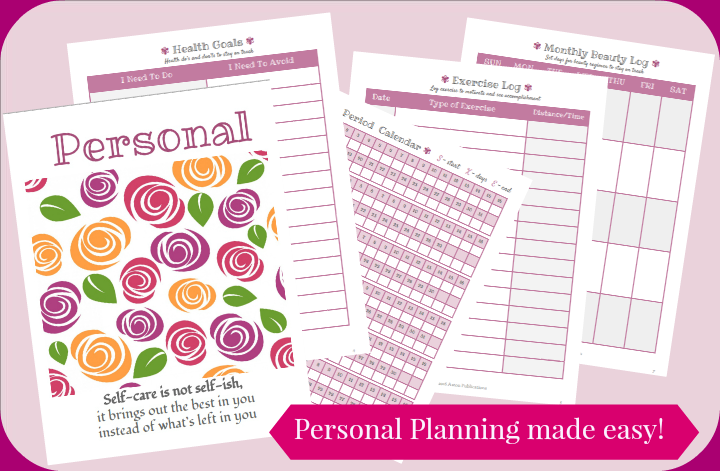 The GO Personal Planner is simple to use and applicable for most moms. Since 2015, the GO Personal Planner has been a hit with many busy moms, so I update it each year. Why is it Important to have a Personal Planner? With life is so busy for everyone nowadays, it can get crazy! Whether you are a working mom, a student mom, a new mom, a homeschool mom, or a busy wife and homemaker, remembering important duties throughout your day can get daunting. I cannot successfully accomplish my tasks each day, if I don't use my GO Personal Planner. On days when I don't use it, I feel unproductive, frustrated and short of time. Our motivation as a mother, is affected when we have too much to do, and not enough time to do it before the sun goes down. When I use my GO Personal Planner as a busy mom trying to accomplish so much, I start to feel positive and see results! I feel a de-cluttering of my mind and I am able to focus on tasks, as well as feel accomplishment when seeing it all written down on paper. "I have always recommended a personal planner for a busy mom, to bring organization and order into her life. Virtual planners do not give the same satisfaction of checks, ticks and the release of one's thought as paper and pen." What Is Inside The Go Personal Planner? The Go Planner includes multiple pages of ready-to-use printables that you can print at home or at an office supply store. All you need to do is print the pages that apply to you, fill-in the relevant information, and add your pages to a 3-ring binder. A Front Cover - made pretty just for you! ACover Page - ready to be personalized with your name! Sectional Tab Pages - for Calendar, Schedules, Lists, Personal and Goals for your ease, with motivation! AReminder Page to paste your sticky notes with important reminders, which you remove when complete! Multiple Pages of Organization - all laid-out for you and ready to be filled-in with your unique schedule! A SPECIAL BONUS! Our planners are created to be used anytime of the year and includes the most current calendar. As a customer of our planners, you will receive an updated calendar each new year absolutely free, as long as we offer the planner for sale. Email me for your copy at the end of the year. Go ahead and make the intention to become a more Organized Mom in 2017!